A TEMPORARY DO not swim notice has been issued at a Dublin beach. Fingal County Council has issued the notice for Balbriggan beach due to an overflow at Quay Street Pumping Station in the town. The overflow occurred as a result of the heavy rain that fell overnight and today. The notice is precautionary pending the outcome of laboratory analysis on bathing water samples which are scheduled for early next week, the council said. If the results are clear then it is hoped that the beach can re-open for bathing. Bathing water samples are taken fortnightly at Balbriggan beach during the summer bathing season and the water is usually at “excellent” standard, the council added. 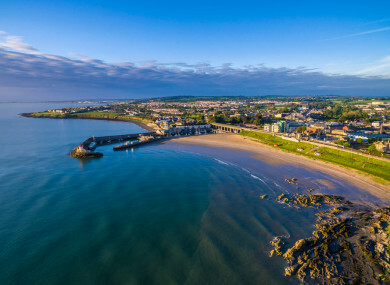 Balbriggan beach itself remains open but beach users are asked to respect the notice as it has been put in place to ensure that the health of bathers is not compromised. Members of the public intending to enter the water at any beach in Ireland are advised to check the water quality in advance by accessing the EPA website or by checking the notice board at the entrance to each beach. Email “Beachgoers urged not to swim at Dublin beach due to pumping station overflow”. Feedback on “Beachgoers urged not to swim at Dublin beach due to pumping station overflow”.